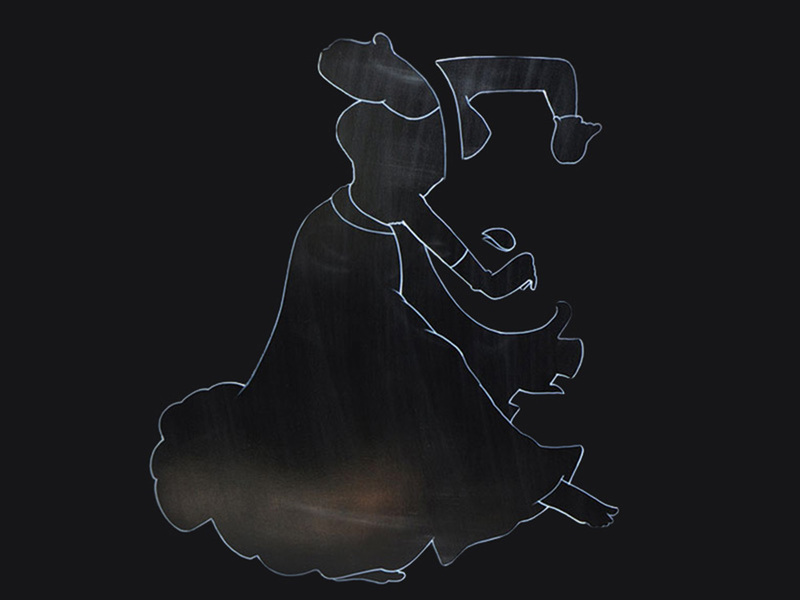 The design sketch is drawn on thick polythene paper and holes are made using sharp tool. The design is traced on the smoothened board.
. Once the outline is drawn, the colors are filled. 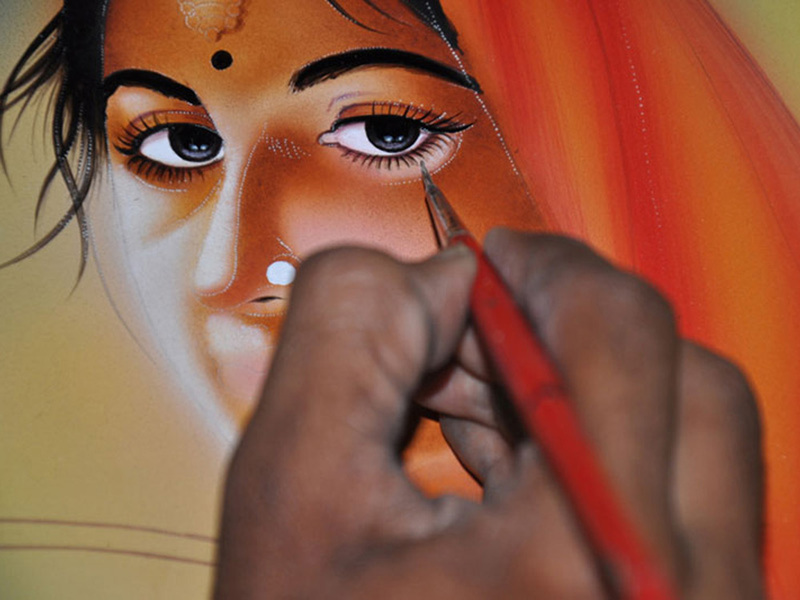 Detailing is done to create depth in the painting. Specifying with different colors to portray intricate embellishments. 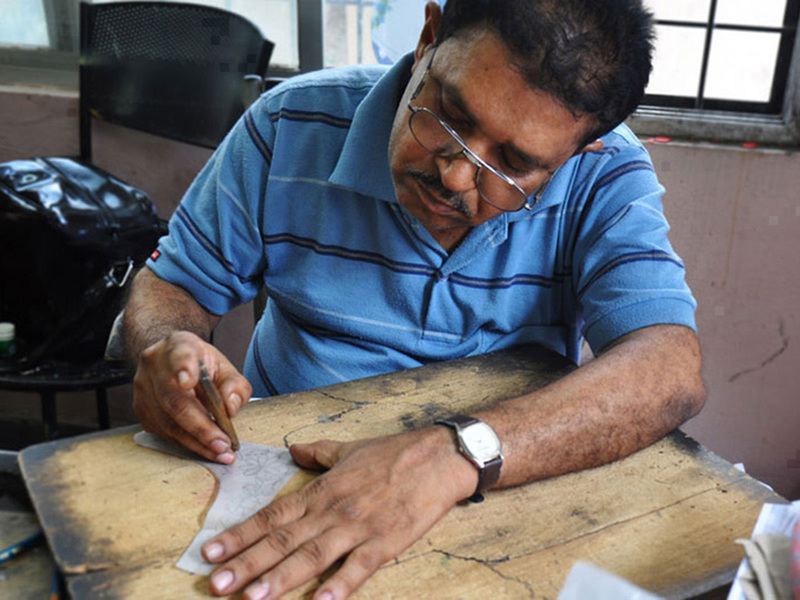 Skilled artisan engaged in creating artistic masterpiece. 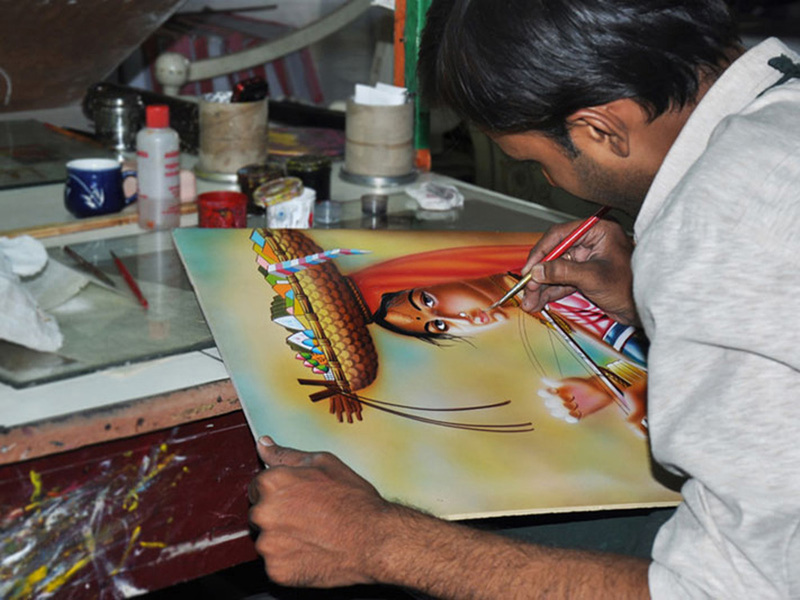 Nirmal artisan paints the image of deities as per demand. Depth strokes to achieve detailed facial features. Finished product is kept ready for final finishing. Spray paint is used to obtain glossy finish. 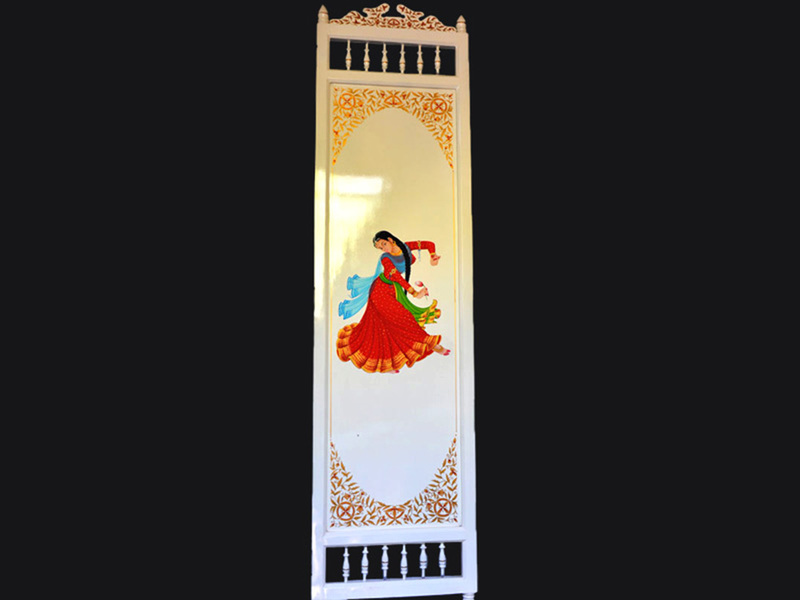 Nirmal Painting is done on different wooden surfaces as per requirement. 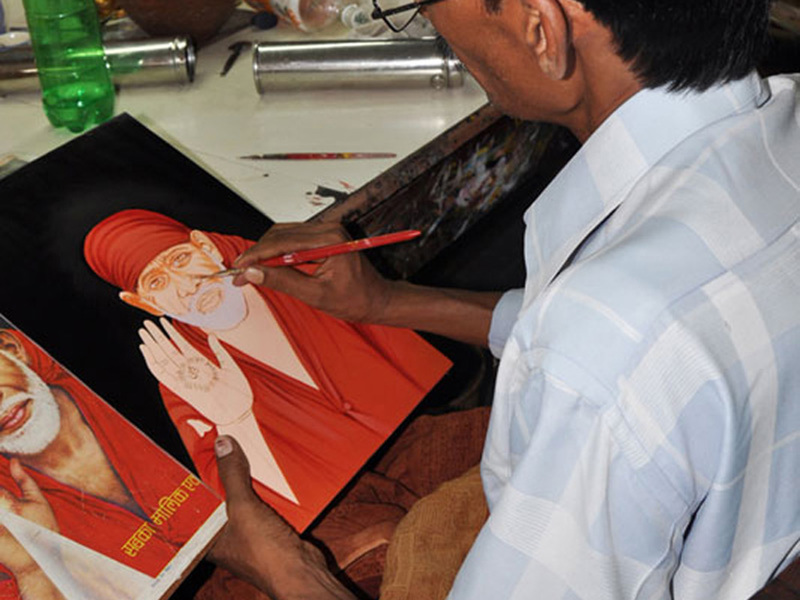 Nirmal, a tribal town in Adilabad is a world famous center for oil paintings. 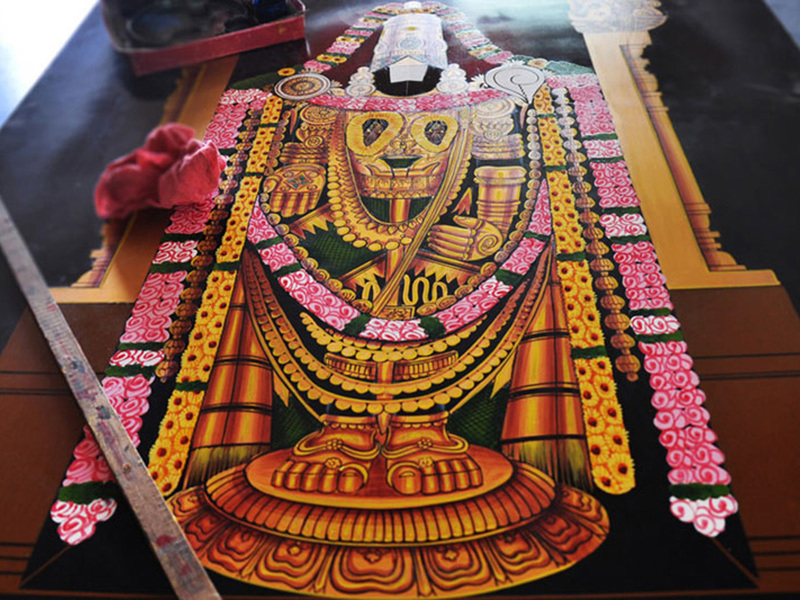 In earlier days, White wood of Tella Poniki tree was used as paint board for painting, which fascinatingly outstands. Due to change in time, artisans introduced Indian teak wood due to its soft grain texture, strength, and lightweight and lifetime quality. Sometimes wood is changed as per the customer’s choice. 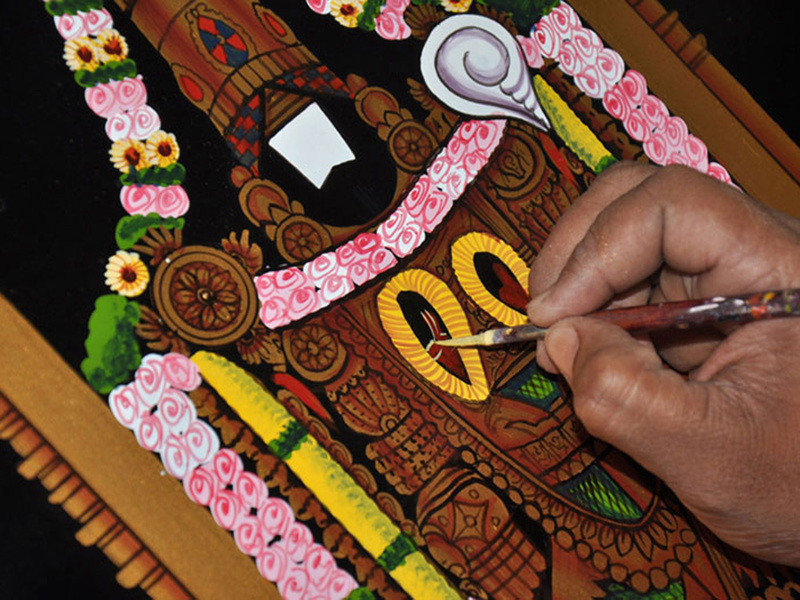 Before, paints were derived from colorful stones found at the shores of Godavari river ad natural ingredients like herbs and mud. 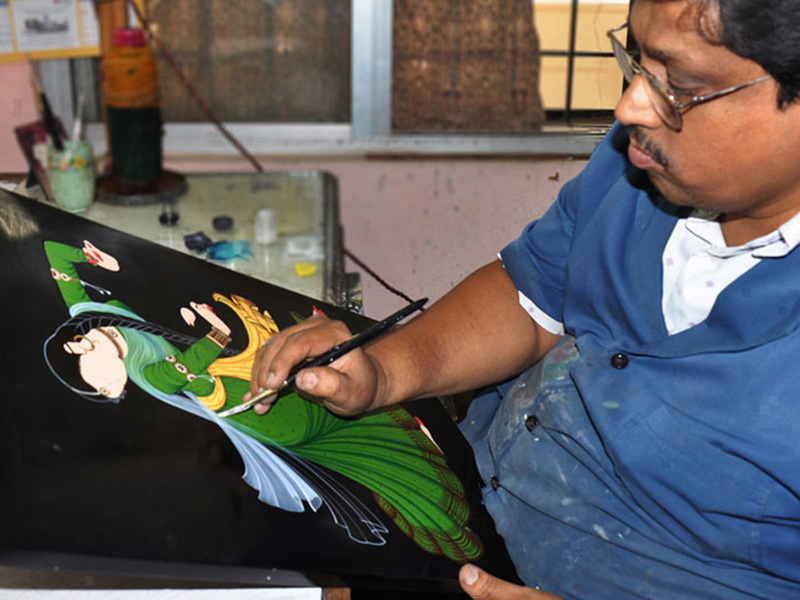 Present day oil paints and spray paints and acrylic colors are mixed with fevicol and used for painting. 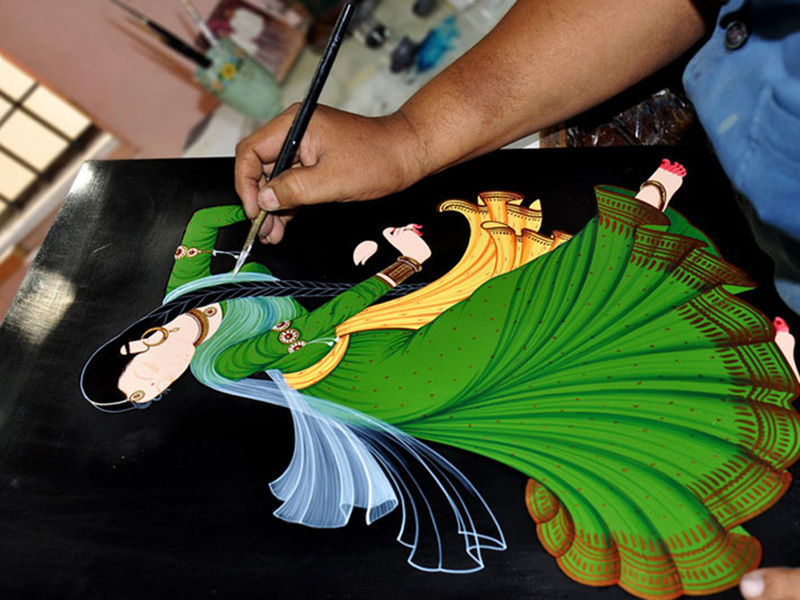 Traditional designs are traced or drawn in chalk on smoothened wood or composition board, then painted in flat, bright colors and often touched up with gold and varnished. 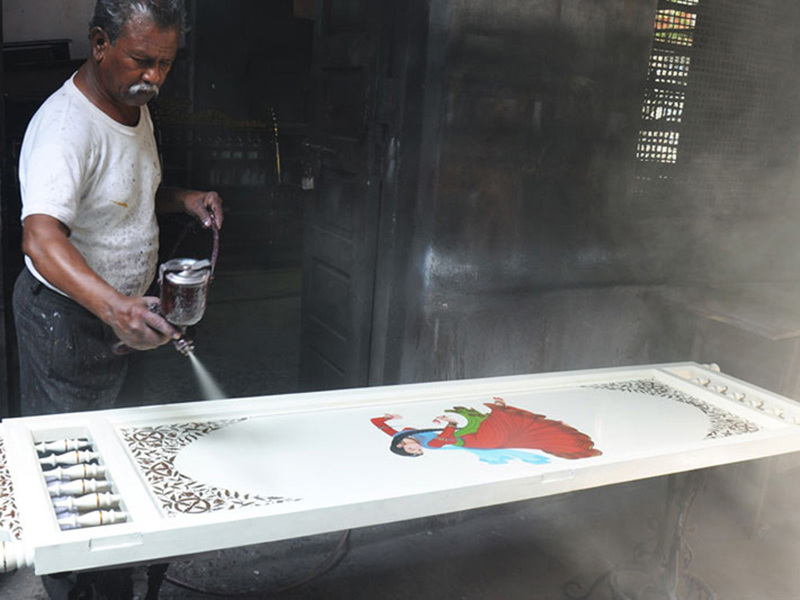 Once the paintings are completed clear spray is sprayed on the frames for water resistance and luster.